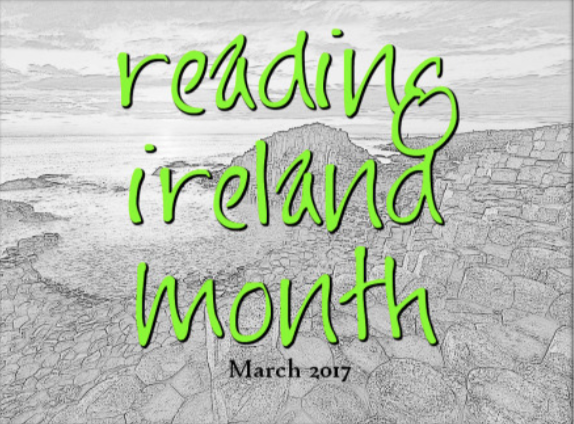 Last year, I missed Cathy’s Reading Ireland Month and so I was glad to see that she and Raging Fluff would host it again in March. Since I try to read from my piles, I went through my book shelves in search of Irish writers. I found much more Irish books than I thought I would and now I’m spoilt for choice. When eleven-year-old Henrietta arrives at the Fishers’ residence in Paris, little does she know what fascinating secrets the house itself contains. 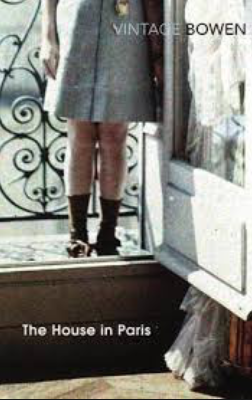 Henrietta finds that her visit coincides with that of Leopold, an intense child who has come to Paris to be introduced to the mother he has never known. In the course of a single day, the mystery surrounding Leopold, his parents, Henrietta’s agitated hostess and the dying matriarch in bed upstairs, come to light slowly and tantalisingly. Durraghglass is a beautiful mansion in Southern Ireland, now crumbling in neglect. The time is the present – a present that churns with the bizarre passions of its owners’ past. The Swifts – three sisters of marked eccentricity, defiantly christened April, May and Baby June, and their only brother, one-eyed Jasper – have little in common, save vivid memories of darling Mummy, and a long lost youth peculiarly prone to acts of treachery. Into their world comes Cousin Leda from Vienna, a visitor from the past, blind but beguiling – a thrilling guest. But within days, the lifestyle of the Swifts has been dramatically overturned – and desires, dormant for so long, flame fierce and bright as ever. In a house overlooking Dublin Bay, Mimi and her daughter Grace are disturbed by the unexpected arrival of Grace’s daughter Polly, and her striking new boyfriend. The events of the next few days will lead both of them to reassess the shape of their lives. 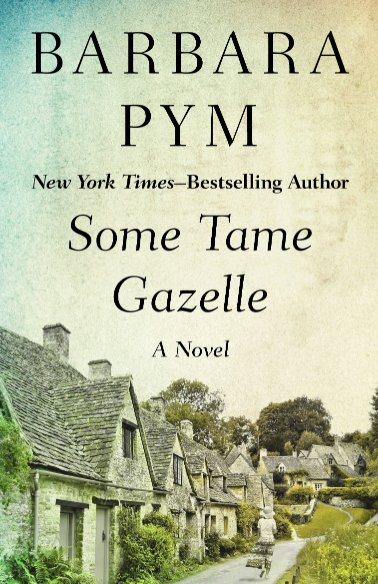 For while Grace’s visitors focus her attention on an uncertain future, Mimi, who receives a messenger of a very different kind, must begin to set herself to rights with the betrayals and disappointments of the past. When Fintan Buckley develops an interest in old autochrome photographs, strange things start to happen. To all appearances, Fintan holds down a successful job and enjoys life with his conventional middle-class family in Dublin, yet inwardly he starts to experience states of altered consciousness, with unsettling hallucinations and sudden insights. Meanwhile, Fintan’s sister Marina has been unearthing family stories from the past and the two of them, in different ways, find themselves renegotiating their history and the decisions that have brought them to this place, this present. 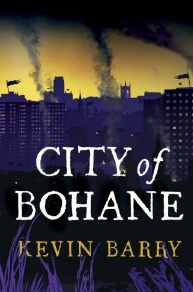 The once-great city of Bohane on the west coast of Ireland is on its knees, infested by vice and split along tribal lines. There are still some posh parts of town, but it is in the slums and backstreets of Smoketown, the tower blocks of the Northside Rises and the eerie bogs of Big Nothin’ that the city really lives. 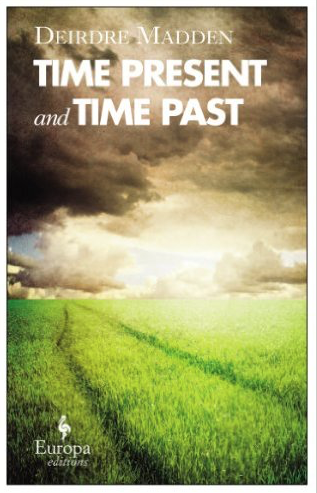 A timeless classic dealing with the complexity and hardships of relationships, addiction and faith. Judith Hearne, a Catholic middle-aged spinster, moves into yet another bed-sit in Belfast. A socially isolated woman of modest means, she teaches piano to a handful of students to pass the day. Her only social activity is tea with the O’Neill family, who secretly dread her weekly visits. Judith soon meets wealthy James Madden and fantasises about marrying this lively, debonair man. But Madden sees her in an entirely different light, as a potential investor in a business proposal. On realising that her feelings are not reciprocated, she turns to an old addiction – alcohol. 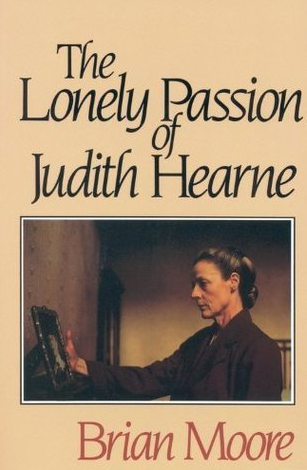 Having confessed her problems to an indifferent priest, she soon loses her faith and binges further. She wonders what place there is for her in a world that so values family ties and faith, both of which she is without. Twenty years on, Rob Ryan – the child who came back – is a detective in the Dublin police force. He’s changed his name. No one knows about his past. 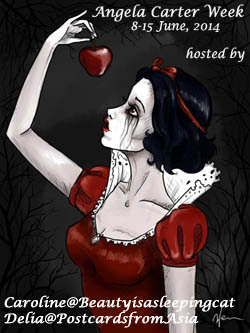 Then a little girl’s body is found at the site of the old tragedy and Rob is drawn back into the mystery. Knowing that he would be thrown off the case if his past were revealed, Rob takes a fateful decision to keep quiet but hope that he might also solve the twenty-year-old mystery of the woods. Have you read any of these? Which ones would you recommend? Oh boy, no, of course not. Thank you. I’m going to cross him off right away. I mixed it up because the title refers to James Joyce’s book. Now you’ve ditched Dylan,I’ve had a look at my bookshelves.I see you’ve got a Jennifer Johnston and a Brian Moore so what about “Pilgrimages” by John Broderick to replace the Welshman? I had to look him up. I don’t own the book. It sounds interesting but seems out of print. I saw he was compared to John McGahern. I’ve got one of his books. What do you think of him? I might also add Portrait of the Artist as a Young Man since that was the book that confused me. Ive been doing something similar and have ended up with a Molly Keane novel too. I know. I have no clue how I mixed that up. I removed him meanwhile. These look to be some good books. I look forward to your future posts. Thanks, Brian. I’m pretty sure some of these are outstanding. 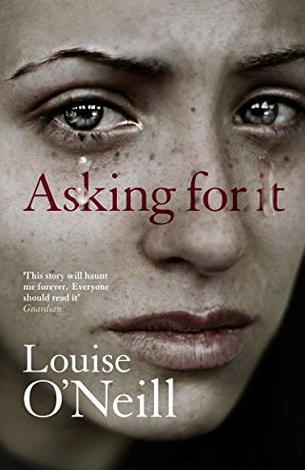 The Louise O’Neill is hard-hitting – loved it, but a difficult read because of its subject matter. I’ve not read any of your other choices, but have enjoyed Molly Keane and Jennifer Johnston before. I had no idea Tana French was Irish! Yes she is. At least I got that right. I actually think I discovered O’Neill on your blog. It sounds difficult. Excellent stuff! I hope to get to a Bowen! They should all be good, I think. I have another Bowen novel somewhere and her collected short stories. I’ll see how I’ll get along with this one. If it’s too spiky, I might pick something else. I’m also planning on Bowen, and you’ve reminded me I have the French buried in the TBR somewhere – I’ll have to dig it out! Bowen is always a good choice. I heard so many good things about Tana French that I should finally read her. 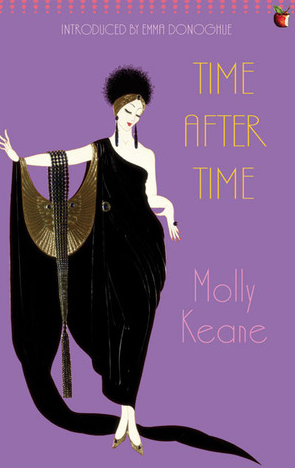 I’ve read The Lonely Passion (loved it), the Madden (really liked it) and Time after Time (a great favourite). I’m glad to hear that I’ve got three books you like on the list. Nice initiative. I have some gaping holes in my own reading of stuff from the Old Sod (Bowen being a prime case in point). I wonder what Guy’s “singular” choice will be! Just read McGahern’s stories (Creatures of the Earth) in Jan. Looking at the TBR, I have Brian Moore, William Trevor, Eimear McBride, Aidan Higgins & Molly Keane to choose from. It is a nice idea. I’m very curious what Guy will choose. McGahern’s on my piles, so I might get to him. And William Trevor is one of my favourite short story writers. I could have added so many more. I’m glad if I get to three or four. Seeing your enthusiasm, I’m certainly glad I’ve got a few of her novels. It looks that way. It’s good for us. That way we know which ones should really not be missed. I’ve recently read McGahern’s That They May Face the Rising Sun and Amongst Women and thought both were fantastic, especially the first. Thanks for telling me, Scott. I have Amongst Women on my piles and meant to read it for ages. And thanks for the suggestion. They’re great, agree Scott. I would go so far as to say both are candidates for my list of greatest ever novels. That’s some endorsement. I’ll be digging out that copy right away. 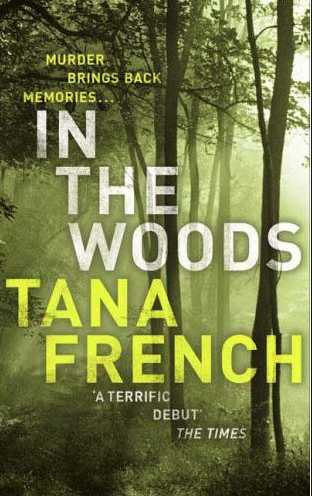 Really want to try some Tana French at some stage – but (foolish maybe) always find I hate the covers. Maybe a Kindle edition is the answer. I recently gave into the inevitable pressure of lacking infinite storage and bought an e-reader from the Evil Empire. I’ve seen several covers of this novel but I can’t say any of them struck me as great. There are tons out there, many of minor novels that look the same. That’s one good thing about the e-reader. That’s a great list. I always seem to mess up my timings when it comes to this event as I wrote about a Bowen a few weeks ago – had I remember I could have bumped it back to March instead. Oh well, maybe next year… I look reading about your final choices. Thanks Jacqui. The same happened to me last year. I’m better prepared this time. I hope to get to at least three of them. You’ve some great books here Caroline, I’m a big fan of Brian Moore and Judith Hearne is very affecting. Im looking forward to reading. I’m so glad to hear that about Moore. I’ve read him before and liked him very much. Looks like a great collection, Caroline. The only one I’ve read is In the Woods. I completely forgot French was Irish. Her novel made for enjoyable reading. I think the books should be very good. I’m glad to hear you liked Tana French. Tana French is never a disappointment to me, and I also loved a completely different vein of writing with Anne Enright. Of course, she is not listed in your post of possible choices, but if you should come across The Forgotten Waltz, I highly recommend it. She’s not on the list but now that you mention her, I remembered that I have her first one somewhere. I hope that’s just as good. I’ll keep The Forgotten Waltz in mind. That definitely seems to be a book to keep in mind. I don’t think I saw Max’s review. I’ll have a look. Sounds interesting. Too bad that I’m not allowing myself to buy books from authors when I still have unread ones. Yeah well. Patience. I haven’t read any of them, but recently read a novel by Tana French and enjoyed it. I’ve been trying to read more Irish authors now that I’m in Dublin. Curious to see which ones you select. Happy reading! Thanks, TBM. I’m glad to hear you liked Tana French. There are so many wonderful Irish authors. Now that I’ve compiled my list, I noticed I have many, many more on my piles. I’m looking forward to start. I finished Asking For It. It’s so much better than I thought it would be. 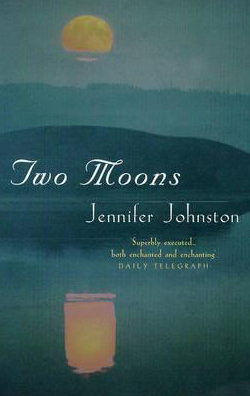 I’ve read another title by each of Jennifer Johnston and Molly Keane and enjoyed each. And I loved that Tana French, although I only read one other in the series…that one remained my favourite. I’m not sure what, but I hope to read something as well, after I make some kind of sense out of a raging library stack! So good to know. I’ve read something by both of them too and enjoyed it. I’m really looking forward to start Tana French now. I’m looking forward to finding out what you’ll choose. Wow! Looks like a great collection..Happy Reading!!! Thank you. I’ve already started and I’m very glad with my picks.